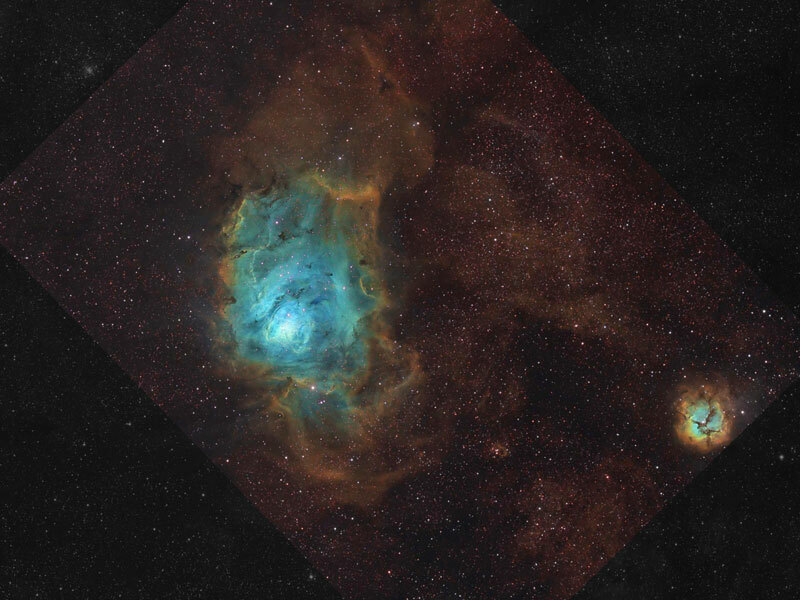 Explanation: Stars are battling gas and dust in the Lagoon Nebula but the photographers are winning. 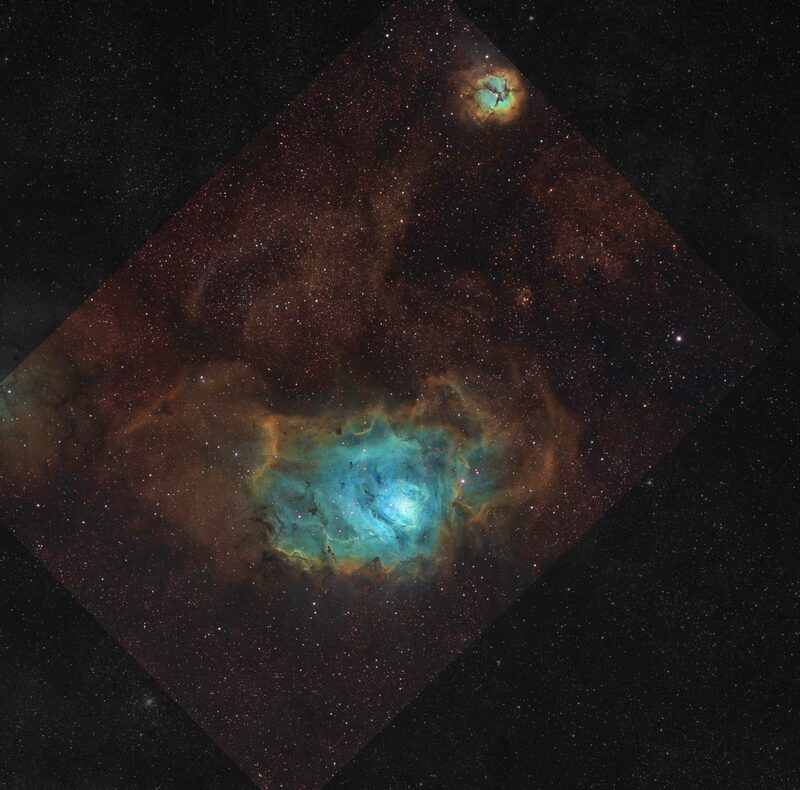 Also known as M8, this photogenic nebula is visible even without binoculars towards the constellation of Sagittarius. The energetic processes of star formation create not only the colors but the chaos. The red-glowing gas, shown on the above left in re-assigned colors, results from high-energy starlight striking interstellar hydrogen gas. The Trifid nebula is visible on the far right. The dark dust filaments that lace M8 were created in the atmospheres of cool giant stars and in the debris from supernovae explosions. The light from M8 we see today left about 5,000 years ago. Light takes about 50 years to cross this section of M8.